PT Dana Tabungan dan Asuransi Pegawai Negeri (Persero) - PT TASPEN (Persero) or referred to as "TASPEN" is a well-established state-owned financial services company with core competencies on social insurance industry. Based in Jakarta, TASPEN operates primarily as a social insurance provider for Civil Servants (PNS) in Indonesia. Established in 1963, TASPEN has more than 55 years of experience in managing social security for civil servants through Pension Program, Retirement Saving Program, Work Accident Insurance Program, and Life Insurance Program. TASPEN was established as a state-owned company under the Government Regulation No 15 of 1963. 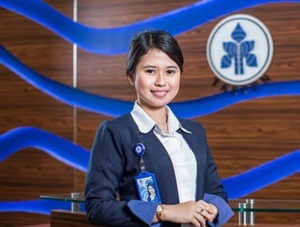 As a state-owned company, TASPEN is fully-owned by the Government of Indonesia which represented by the Minister of State-Owned Enterprises (SOE).. As of December 2016, TASPEN runs its business through 6 main branch offices, 49 branch offices and 14,439 service points spread across Indonesia. In terms of financial performance, TASPEN was able to show financial performance improvement in 2016 amidst economy slowdown in Indonesia. According to information found in PT TASPEN (Persero) Annual Report 2016 as cited by JobsCDC.com, TASPEN was able to book better asset growth by 15.30% to become Rp198.62 trillion in 2016. Referring to its annual report, TASPEN’s total liability is increased by 15.00% to become Rp187.32 trillion. Total Premium and contribution grew by 11.94% to become Rp7.48 trillion in 2016. Children / daughter-in-law of PT TASPEN (Persero) employees who still have a working period of more than 2 (two) years from the Pension Age Limit (BUP) at the year of receipt. JobsCDC.com now available on android device. Download now on Google Play here. Please be aware of recruitment fraud. The entire stage of this selection process is free of charge. PT TASPEN (Persero) - D3 Marketing Communication TASPEN January 2019 will never ask for fees or upfront payments for any purposes during the recruitment process such as transportation and accommodation.